the call to serve as club exec. offer us strength and fine advice. to fuel us ‘neath our Rotary wheel. Sun glowing, turned the world into High Definition. blowing sultry scents into nostrils. Barbeque sauce tangoing on the tongue. we celebrate service above ourselves. There is a lot to be thankful for in June. 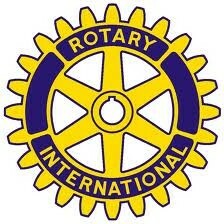 June is Rotary Fellowships month. Fellowships are Rotarians who share a passion, like chess, travel, puzzles, etc.